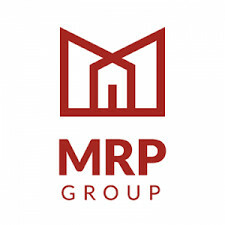 The MRP Group has been set up by professionals who are passionate about property, hospitality and maximizing returns for your business. The MRP Group is on the pulse of what is happening in the hospitality industry and the property industry, providing your business with valuable advice to fit with the changing landscape. Robert Walters is a global, specialist professional recruitment consultancy. "Our story begins in 1985, when our CEO, Robert Walters, opened the first office in Central London. Rob has led the company ever since and has the same passion and commitment today. Over the last 33 years the business has grown and so has our ambition. We now operate across 28 countries and employ over 3,900 people. It’s a powerful success story built on the strength of our people. Organisations rely on us to find high quality professionals for a range of specialist roles. Professionals who are looking for a new role, whether it’s on a permanent, interim or contract basis, trust us to find them their ideal job. Based both in Marlow and Maidenhead with over 150 staff. The firm was established in 1991 serving the local and regional business community and private individuals. They offer a range of commercial, corporate, real estate and personal legal services. Ritz Executive Cars Ltd Club Members get a 4% off cab fare over £10 Tel: 01628 260260 Tel: 01494 451110 Email: info@ritzexecutivecars.co.uk Web: www.ritzexecutivecars.co.uk Ritz, Superiority to the last drop! We are an award winning multi-service sales and marketing consultancy dedicated to the new homes market. The company was established in 2009 by founding director Helen Todd. Her aim was to bridge the gap between new homes and land estate agency and to provide house builders with the option of accessing a flexible, dynamic and highly motivated team to act as their own in-house sales and marketing department. We feel like we work with our clients, not for them. It's a people thing. Printing is ore than just ink on paper. It's about connecting and comprehending. Trust us, we get you! ZenithOptimedia is part of the world's largest media services group. We offer a wide range of services.